L and & Property Services (LPS), part of the Department of Finance, has recently contacted business ratepayers to collect rental data for the non-domestic rates revaluation – Reval2020. Business ratepayers and their advisors in Northern Ireland are obliged to provide rental evidence to LPS with a view to preparing a new Valuation List for use from April 2020.
Letters explaining how ratepayers can submit information were sent to occupiers of commercial premises at the end of April. 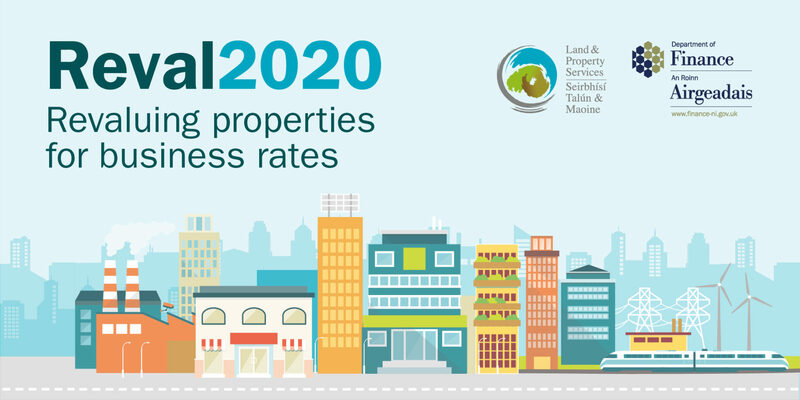 LPS will use this information to analyse and interpret the current market and assess the rental value of each and every rateable property, which then will be used to calculate individual business rate bills from 1 April 2020. “This is a key stage in the process of revaluing around 75,000 properties occupied by businesses and other bodies. I would urge all business ratepayers to submit the necessary information to enable us to make the system fairer for all; this is not an exercise in raising more money for public services.